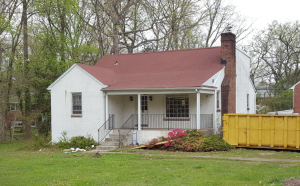 These Real Estate Investors purchased this Baltimore City real estate property slightly under market value because it needed a lot of renovation work. They plan to fully renovate the property with a $75K budget and relist for sale in early summer. There a lot of similar opportunities to this single family house in many areas of Baltimore City and County. Was the $75,000 fully or partially funded by HMB? What were differences in buying and selling costs?